We recently spent a month in Rio de Janeiro, Brazil. Before we got there, we had heard all of the things that most of you have probably heard: it can be unsafe, dirty and full of partiers. And to be honest we did find some of those things. 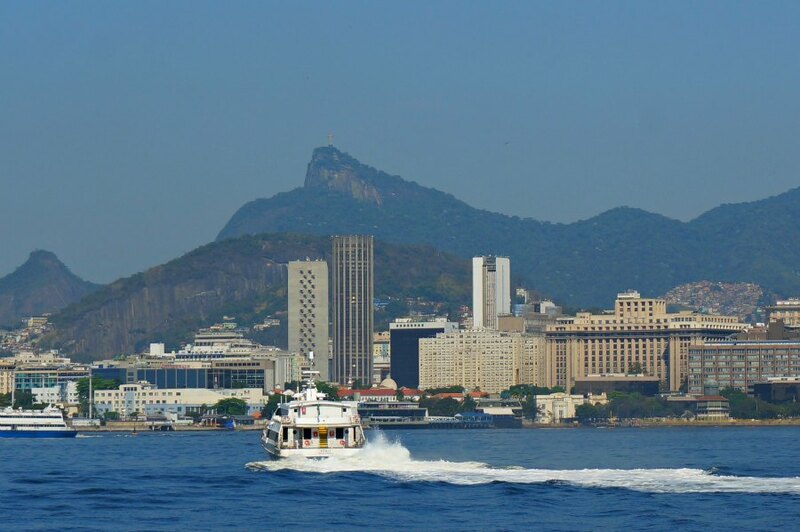 But after spending some time there we have no doubt that Rio is a fascinating place to visit. 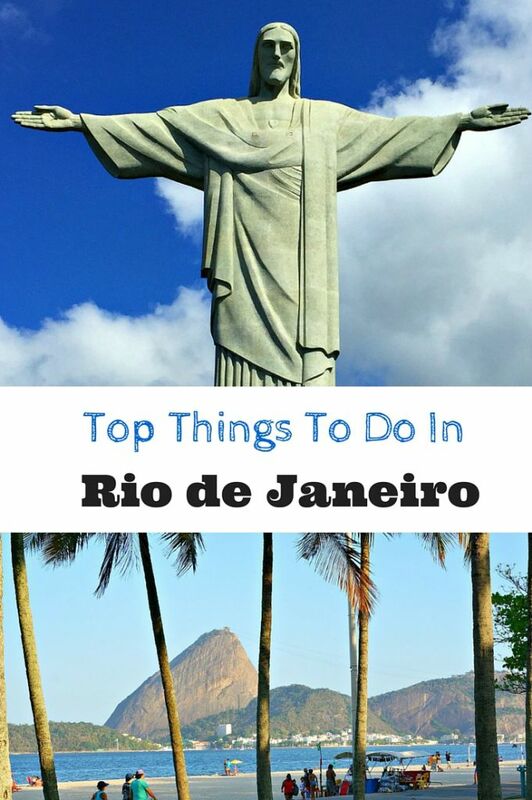 Here’s our list of top things to do in Rio. After looking them over see if you feel more inclined to consider a visit. 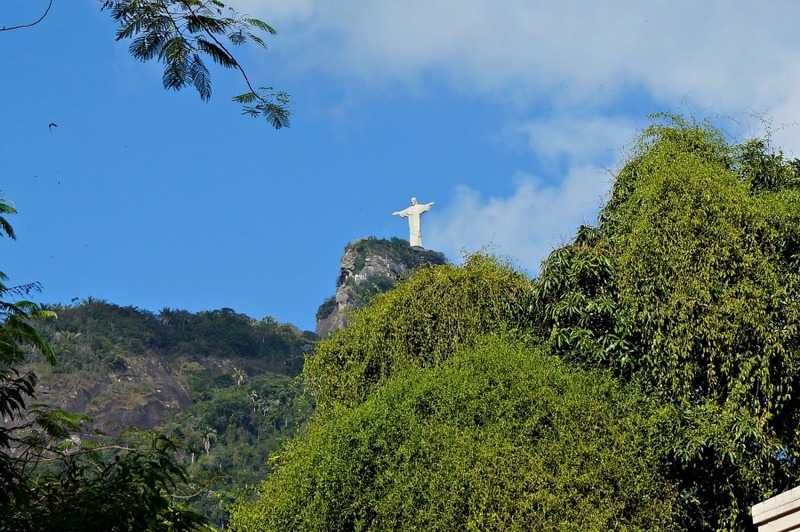 You are unlikely to go to Rio de Janeiro without seeing the Redeemer Statue. The huge, iconic figure of Christ looming over the city is one of the first images that comes to mind when you think about the city. So whether you actually decide to scale the mountain or not, you truly can’t miss it. I’m not saying that making the trip to the statue isn’t without its detracting points. 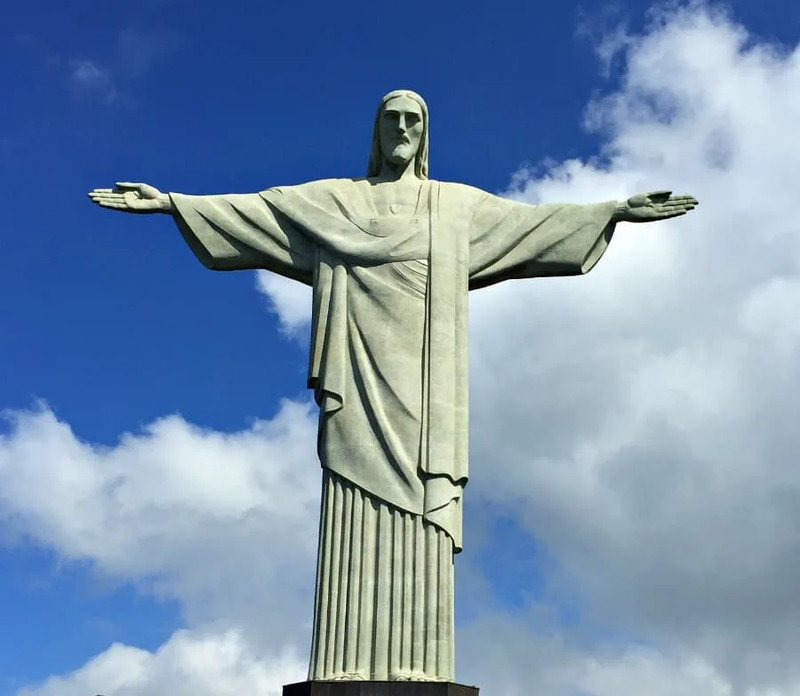 You will have to fight you way through crowds of tourists with their outstretched arms trying to get the ultimate Redeemer photo to bring home. Or have the unfortunate experience of others who hiked the trail to the top (including scaling 3 meters of stone face pulling themselves up with a chain) only to find out that tickets to get in are ONLY sold at the bottom (really?). Despite that you will be well rewarded for your efforts, with views like these. In order to have the most hastle-free experience plan ahead by going early and avoid the weekend. And be sure to check the official tram website as rules for visiting (such as where you can buy your tickets) can change. 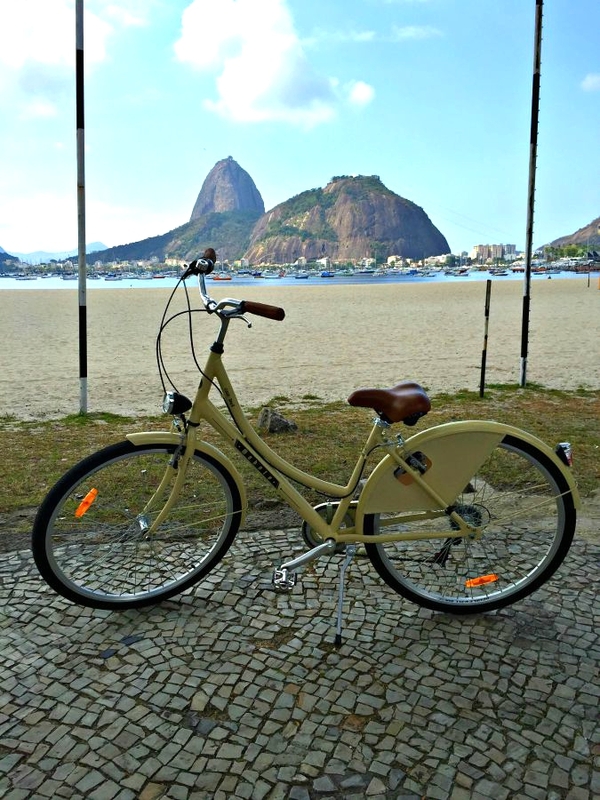 Rio de Janeiro is a very bike friendly destination. 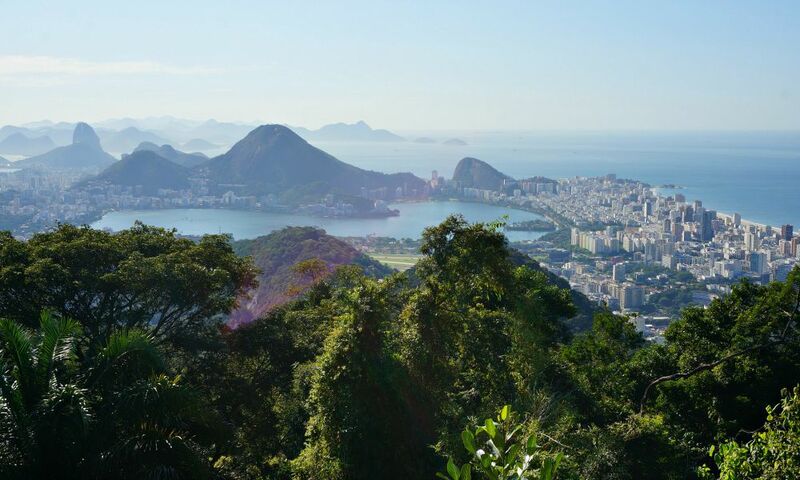 There are pathways throughout the city that will take you past the stunning beaches that have made Rio famous. Along the way there are plenty of opportunities to stop and enjoy a cold drink as you decide which area to return to for a closer look. We decided to go along with a guided bike tour in order to learn more about the city and to get some insider tips about what to see and where to eat. Feijoada is a pork and bean stew. I realize that doesn’t sound very exciting on its own, but Feijoada is so much more than that. 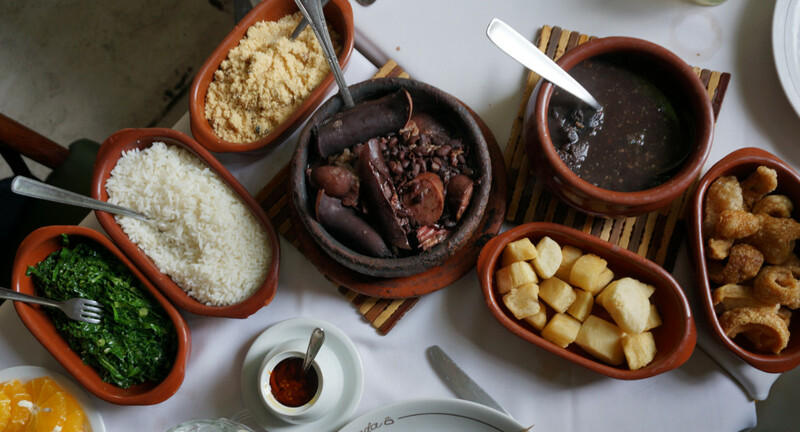 An afternoon (or evening) eating Feijoada is a social occasion, filled with many side dishes, drinks and friends. It’s a party that you shouldn’t miss during your stay. Our pick for Rio’s best? Casa da Feijoada. Rio has many beautiful places to hike. Not far from the bustling city you can enjoy the quiet of the botanical parks, scale lofty peaks for amazing views and be treated to glimpses of toucans and monkeys (if you’re lucky). We TOOK a hike in the Tijuca National Park and were able to enjoy all of this, plus some amazing views along the way from the China Outlook. Rio de Janeiro wasn’t always known for its beaches. Once the city became an international destination the city actually dredged and land filled in order to create the long gorgeous beaches that it has today. Along the beach you can you can rent a chair and order some refreshments to enjoy while you listen to the waves. Take caution however. Since there was a good deal of dredging the water can get deep, quickly. And those friendly beach vendors, who are supposed to list their prices on their stands, don’t always follow the rules. Check what locals are paying before plunking down your cash. And lastly, check on water quality. 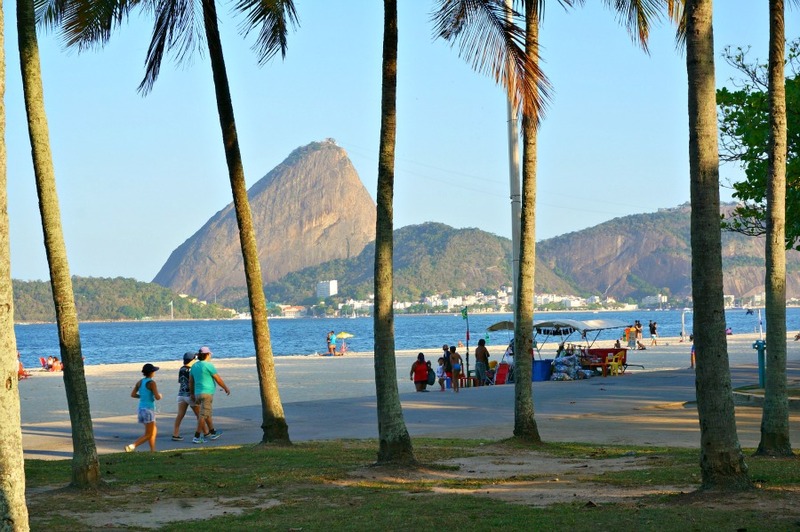 Some beaches, such as Flamengo, have fallen prey to pollution. This beautiful mountain, with its cable car lift to the top, beckons for a visit. It is also possible to hike to the top, but it involves using climbing equipment and isn’t recommended for a novice or first time visitor. Here’s the official visitors site for more information. 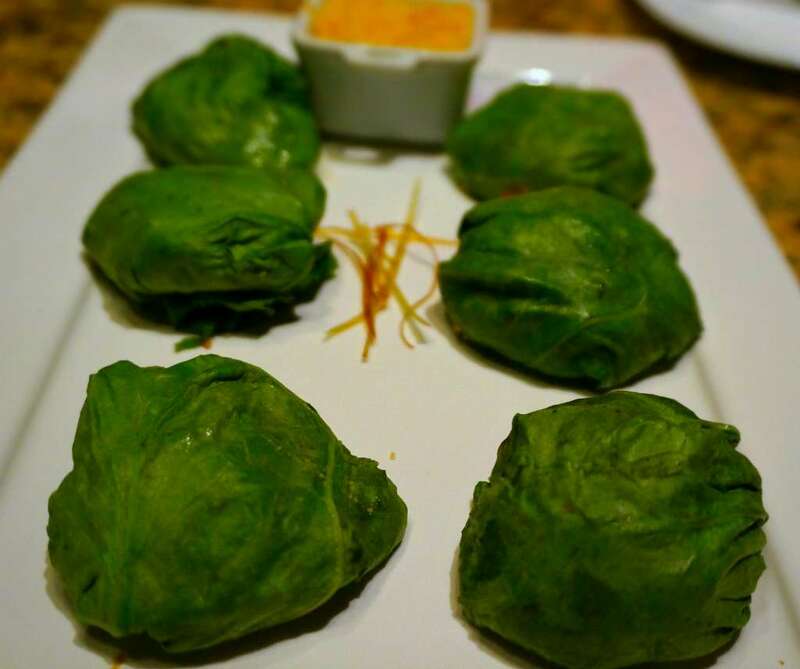 Have you been a Brazilian Steakhouse? If so, you know about the grilled meat arriving in skewers and the abundance of food. The experience in Rio de Janeiro is the same, only better. 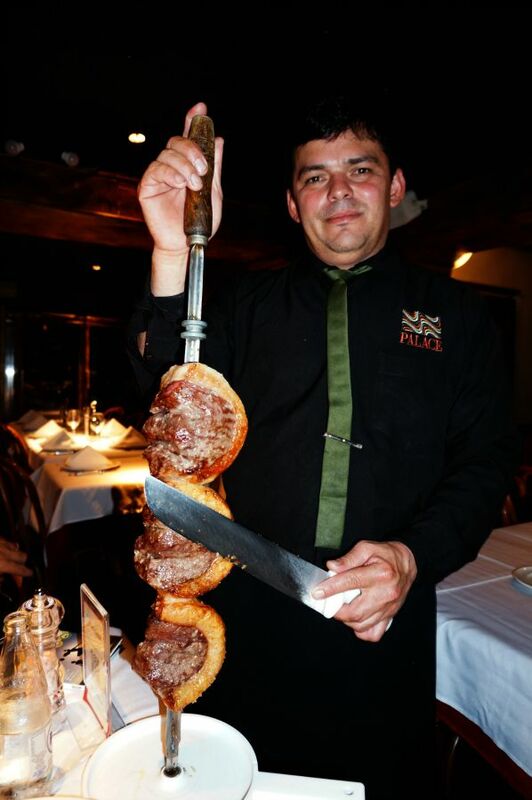 Skip the quantity over quality approach of many Brazilian Steakhouses and find your way to the Churrascaria in the Copacabana area. This is what a Brazilian Steakhouse is supposed to be all about. Ok, I’m not sure if they are the most colorful stairs. Particularly which way you look. Looking down from above, nothing special. But looking from below, something different entirely. The staircase was decorated by Chilean Artist Jorge Selaron who eventually took donations in order to finish his eccentric work. 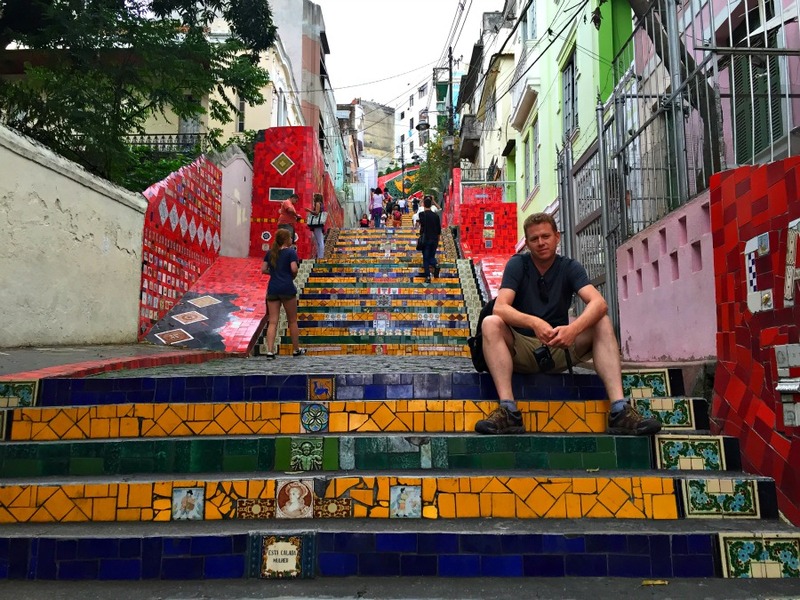 His effort, intended to breathe life into the Lapa neighborhood, has been a huge success. Now the stairs are crowded with selfie taking tourists, all ready to spend their money at local shops and restaurants. A self portrait of Artist Jorge Selaron on his famous steps. Favelas are Rio de Janeiro’s sprawling neighborhoods that climb the hills surrounding the city. 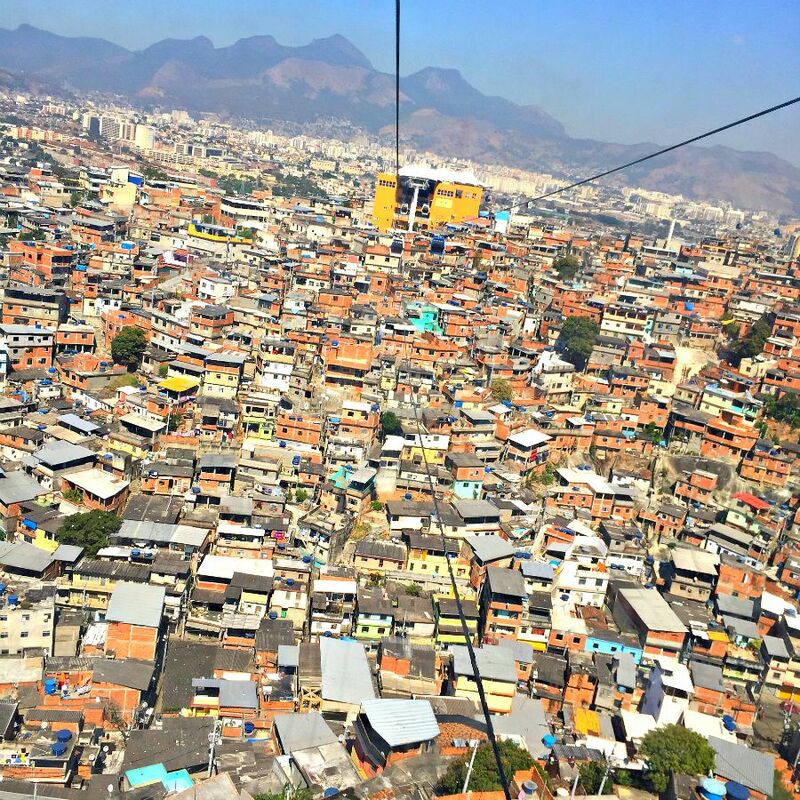 Formerly looked at as Rio’s slum area, the favelas have undergone a gradual transition. There is now a stronger police presence in the area, and drug lords no longer have complete control of the areas. There are many middle class families that make the favelas their homes where they enjoy close-knit life with multi-generations of families living in close proximity. Violence continues to be a reality in some areas where drug dealer occasionally fight over territory. And while this is not common, it is unpredictable. Therefore, guided tours, like the one we took, are still a recommended way to safely see these fascinating neighborhoods. 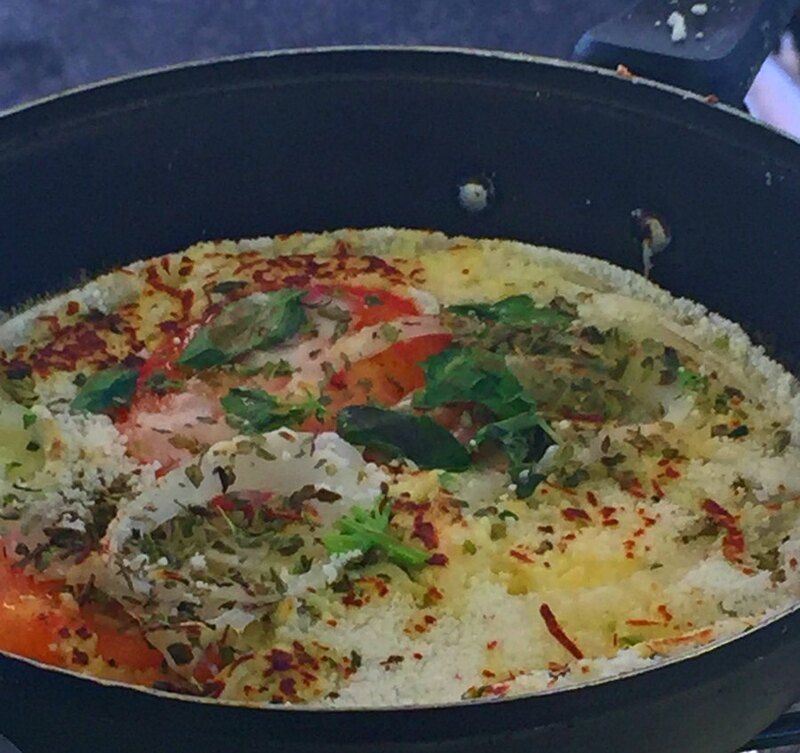 If you really want to learn about the history, culture, and people of an area you are visiting, one the best ways is to take a cooking class. Food and its influences evolve over time, with little crumbs of the past mingling with the present. Plus, the classes can be a lot of fun. And when you are back home and decide to cook some of the dishes your prepared, the aromas from the kitchen transport you back to wonderful memories from your time away. 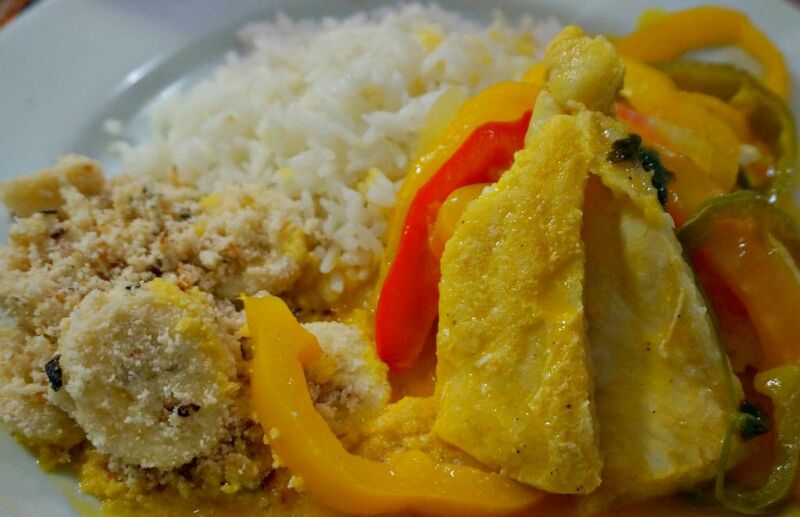 We took a cooking class in Rio and learned how to make traditional Brazilian Seafood Stew, Moqueca – as colorful as it is delicious. 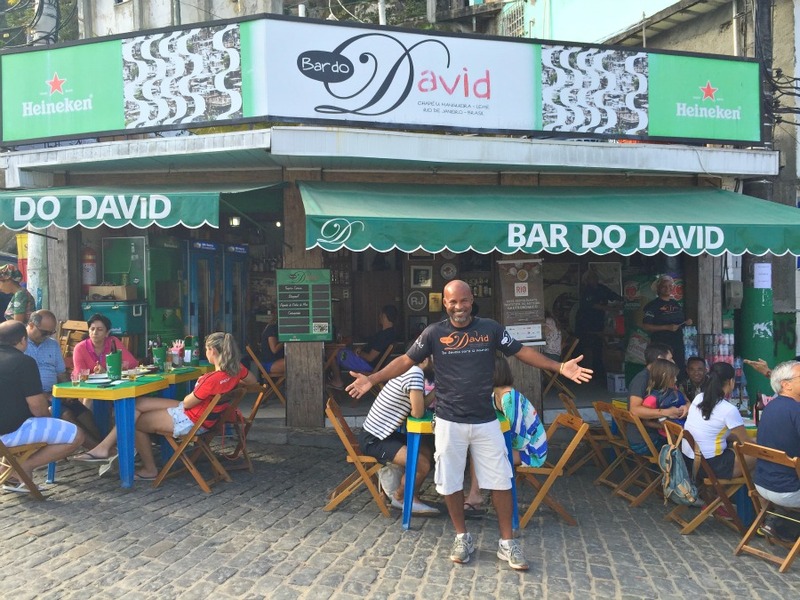 Bar Do David is a small restaurant in the Leme area of Rio. 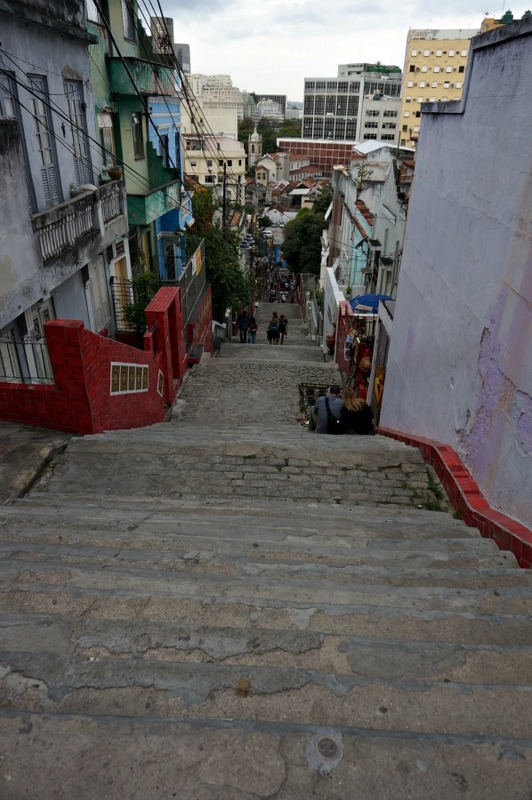 In order to reach the bar, you either have to hop aboard a motor cycle taxi or climb up the steep hill into the favela area. Once you get there, it is likely that you will be greeted by David himself. He is the king of self-promotion and isn’t shy to show off his awards and to sing the praises of his food. We shared the small space with a local TV personality and a sports celebrity who got lots attention from patrons while we were there. And after tasting the food, we realized that maybe all of David’s hype wasn’t unearned. Take the trek yourself and you’ll be treated like family and well fed in the process. 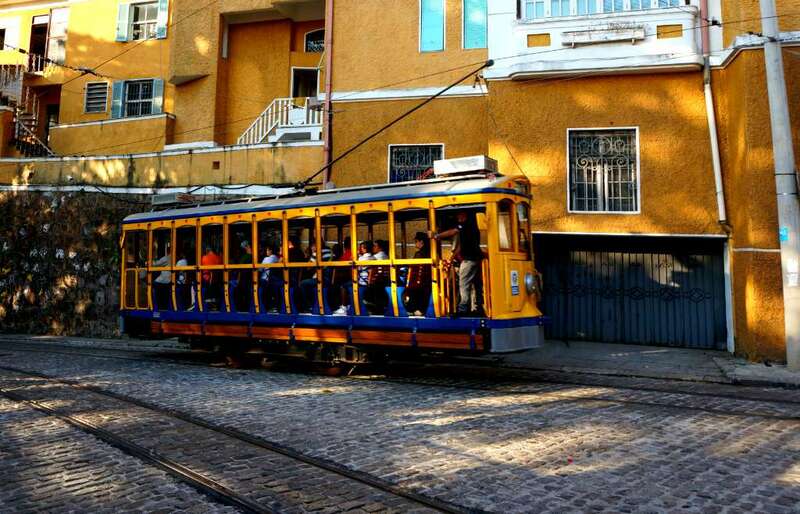 Santa Teresa is a quaint neighborhood that can be accessed by cable car. It has some funky artist studios, beautiful view of Rio, and one of our favorite restaurants in the city. 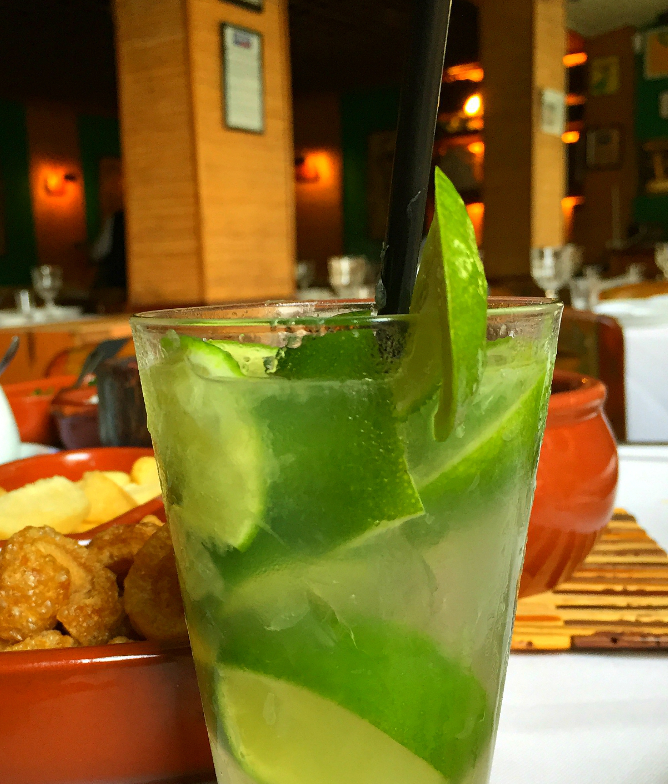 Espirito Santa features flavors of the Amazon, something that is less common in Rio. But the flavors are spectacular and wandering the neighborhood and grabbing a bit at the restaurant makes for a perfectly wonderful afternoon/evening. 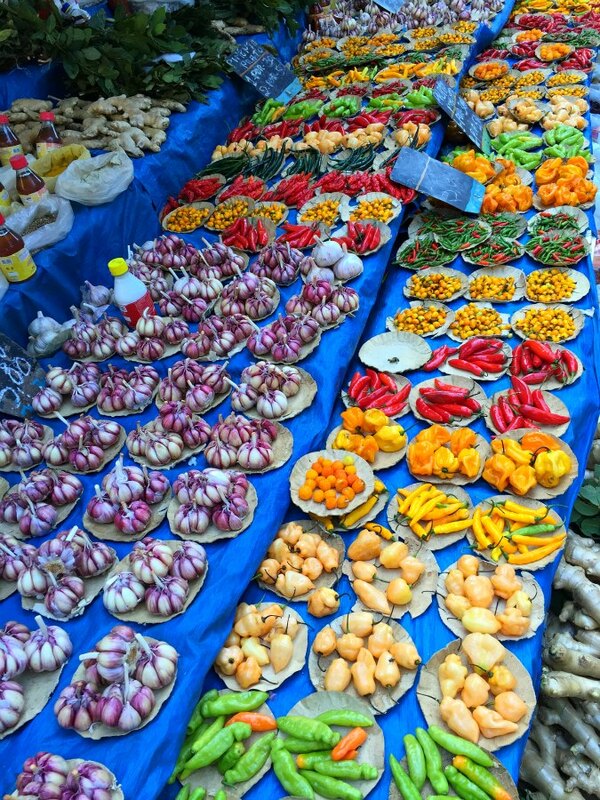 If you are in Rio de Janeiro on the weekend, don’t miss the farmer’s markets. Here you get a first hand glimpse into day-to-day life in Rio. The market is packed with people, loud, and full of everything you can imagine, from fresh caught snapper for dinner or plastic bag containing a live goldfish for your new pet. 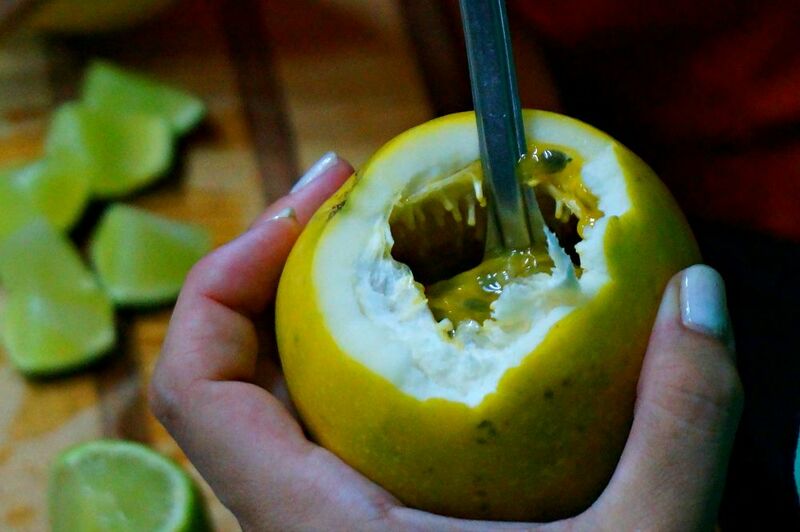 It’s a great place to sample local fruits and street food and to rub elbows with locals. 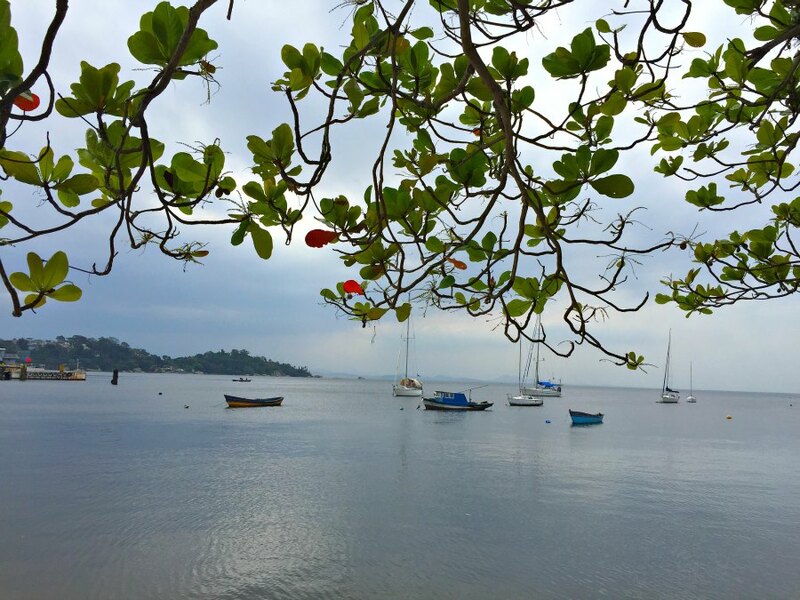 Paqueta is a sleepy island community that is accessible from Rio within an inexpensive 30 minute ferry ride. Once you set foot on the island you’ll feel like you stepped backward in time. Residents get around via horse and buggy or bicycle and there are relatively few restaurants, stores or hotels to grab your attention. It’s the perfect place for a leisurely stroll to take in the calm and peaceful surrounding. 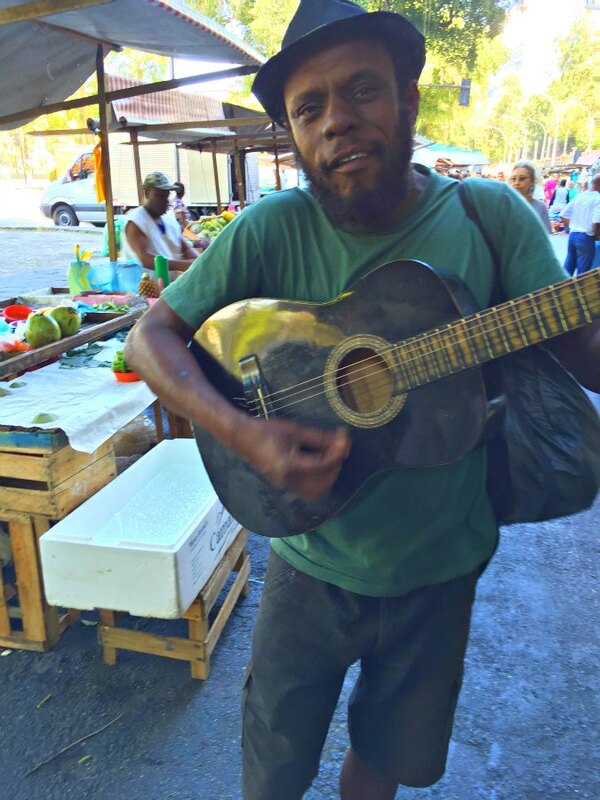 One of the most infectious things about Rio is the music. There are often drums in the background, music spilling out onto the streets from bars or a seemingly impromptu party that crops up in the park or street corner. This simple celebration, which costs nothing, gives Rio a little bit of extra personality. It’s almost as if everyone started to break out into a samba you wouldn’t be surprised. 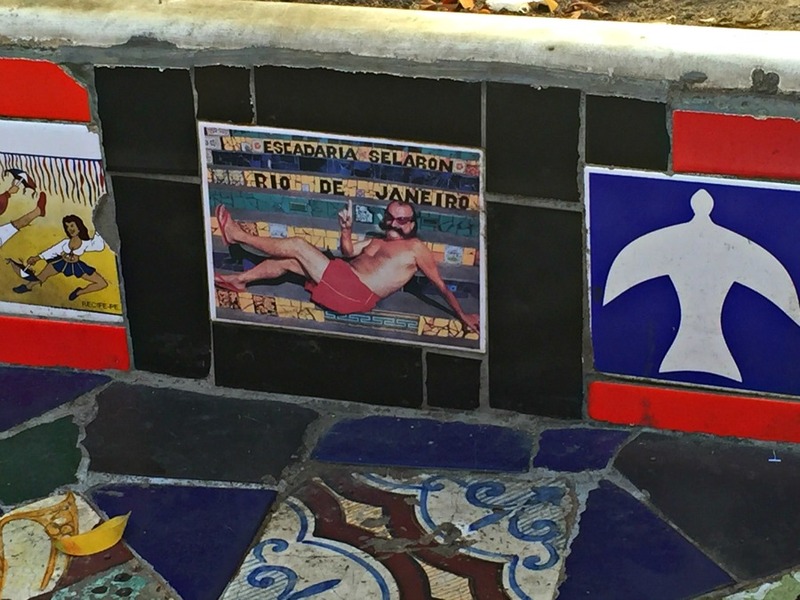 And also why a visit to Rio may make you feel a little like dancing yourself. Oh my, now I want to go to Rio! 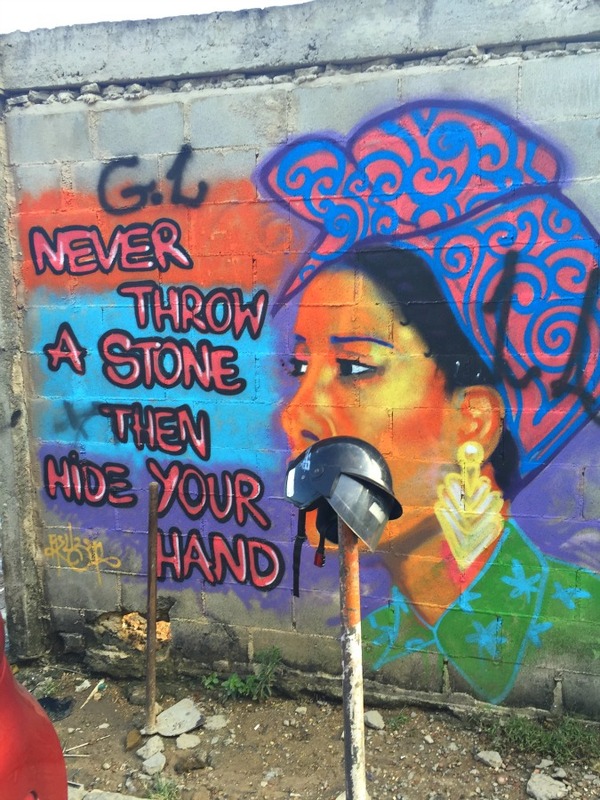 Beautiful pics and one of the best lists I’ve seen on Rio. Great post! Now I want to do all of the things mentioned! The pictures look amazing. I think I really would enjoy the Bar do David. If you do decide to go, heading to the Bar do David, and meeting David himself, is worth it. Great tips! I love the hiking and biking and of course the redeemer statue but that beach just seems like torture to me. I spent years in Costa Rica where beaches are hardly inhabited at all and now live in Hawaii where we can always find a peaceful piece of paradise but with so many people I don;t think i’d like that at all. What did you think of it? 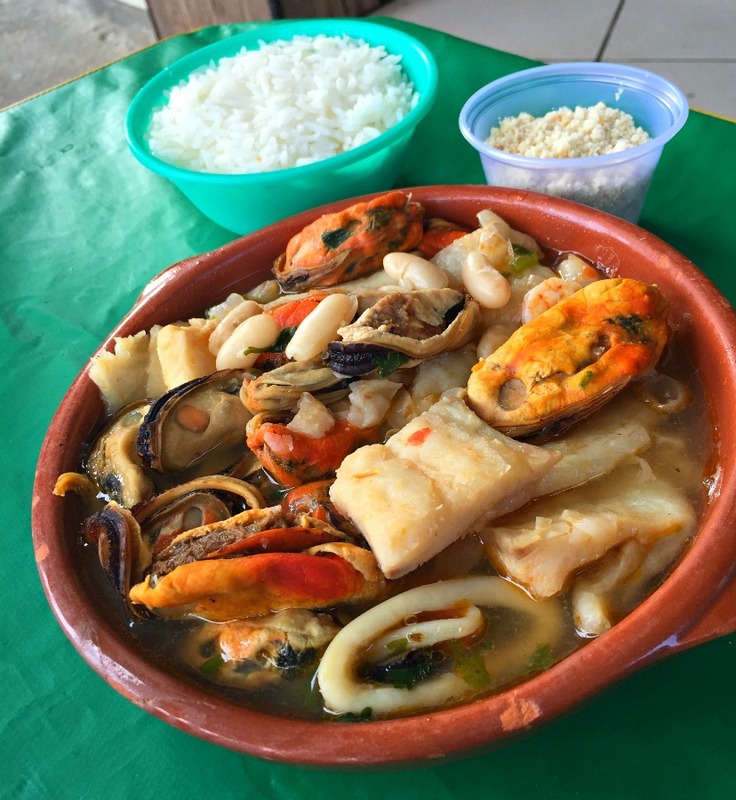 The hiking and cooking class are not something that I associate with what Rio is most known for but your photos and experiences add another view that’s much more aligned with what we’d enjoy doing. Thanks for some great tips. I would have been very unhappy if I was one of the people that hiked up to the Redeemer statue without a ticket. Last year in Cali we had to check out their Redeemer statue, called Cristo Rey and it was quite impressive. The food and drink look great, next time we are in South America we will have to make Rio a stop! If you do decide to go let me know – happy to answer any questions. Happy Travels. I really like the pictures of the farmers market (and I’m not a big vegetable fan) and the street music. Those show such a culture that would be nice to see. Wow Rio de Janeiro looks amazing! I honestly never thought of visiting, but now I’m interested. Thank you for sharing your tips and photos! Let me know if you do decide to go – I’m happy to answer any questions. You’ll have a fantastic time. I like how varied the suggestions are on this list. 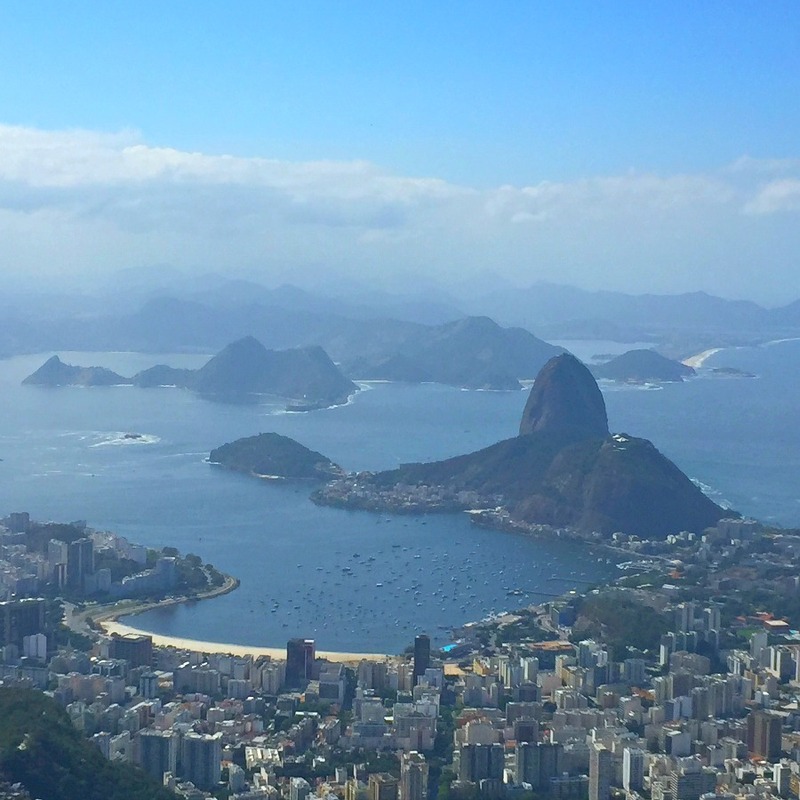 Not just things to see, but things to do to immerse within the cultural aspects of Rio de Janeiro to get beyond the stereotype. Nice! My choice would definitely be to take a guided bike tour. We did one in Buenos Aires as well as many other places in the world and it’s just such a great way to move around the city! You have made a convincing arguments why one should visit Rio. All great suggestions. I could easily enjoy doing a couple of these and then end it off with a ferry ride to Paqueta to relax. We really enjoyed the food while we were in Brazil! Amazing post and photos, make me want to do all of these things! Rio has so much to offer. Thanks for great tips! Rio de Janairo looks like the most awsome place ever! Great list! I could have used this when in Rio for the World Cup! 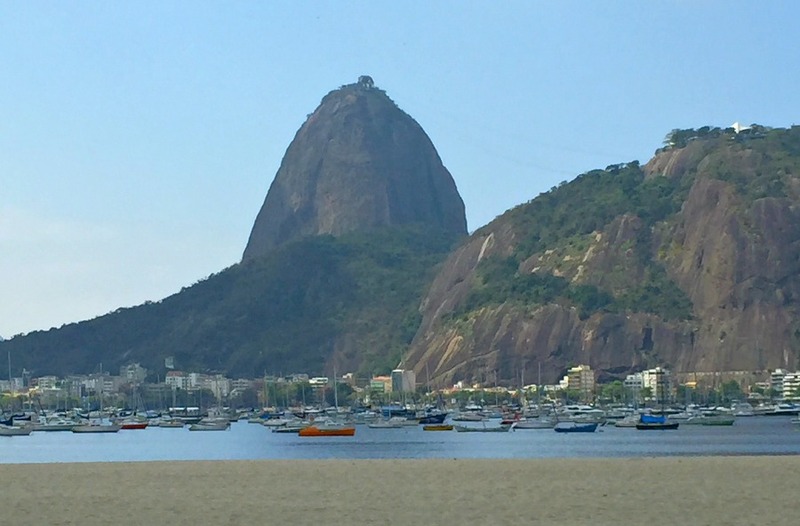 Rio is certainly the hot travel top at the moment. Amazing attractions here. Definitely Rio. Beautiful photos; they really capture the essence of Rio. I’m hoping to get down there soon, ti seems like a wonderful place.